Phil Taylor doesn’t win his tenth Grand Prix title in 2010. In the quarterfinals Taylor nearly loses to Gary Anderson, but Taylor survives that round with 5-4. One round later, it is over for the defending champion. Adrian Lewis finally shows his true class and after a long series of defeats finally beats his mentor. 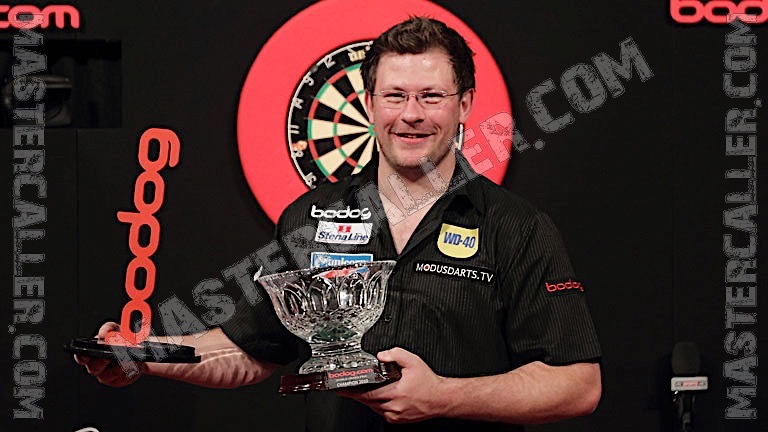 On the other side of the schedule it is James Wade who reached the final and in the final he will also beat Adrian Lewis. In 2010, the highest finish of 170 is thrown no less than three times, which is a record. Raymond van Barneveld, Phil Taylor and Simon Whitlock all pull this off. Denis Ovens also puts a record to his name. After he lost in the second round in 2003 to Roland Scholten he doesn’t get through the first round between 2004 and 2010. Thus losing eight games in a row, a record that you prefer not to have in your name. Until 2010, Phil Taylor won every edition of the World Grand Prix if he came through the first round. For Taylor, there was a first in 2010 when he loses in the semi-final to his former pupil Adrian Lewis. It was to be the start of a very moderate fall of 2010 for The Power. Not only did he lose in Dublin, but also the Grand Slam of Darts, the World Cup of Darts, and more importantly, the World Championship Trophy went home with someone else. Speculation that the Taylor era is over started, but the undisputed number one in the world will later put those speculations to bed. Raymond van Barneveld reaches to the semi-finals of the World Grand Prix in 2010. As in 2007, he meets James Wade at that stage and just like in 2007 he loses 1-5 to The Machine. To make the comparison with 2007 complete, Wade wins the tournament like in 2007. For the other two Dutch competitors the World Grand Prix ends after one round. Vincent van der Voort loses to Terry Jenkins and Co Stompé falls to Colin Osborne. For the first time in five years, Terry Jenkins doesn’t reach the semi-finals. The Raging Bull losing in the second round to the later finalist Adrian Lewis.